Richard Glenn is currently Acting Commonwealth and Private Health Insurance Ombudsman. 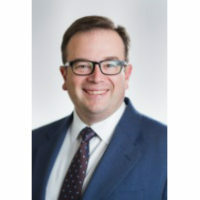 Before joining the office as Deputy Ombudsman in 2013, Richard held senior positions in the Attorney-General's Department where he was responsible for major reforms to Commonwealth privacy law and policy, personal property securities law and the Commonwealth's national security law framework. He has represented Australia in international forums, including copyright treaty negotiations. He was an associate to a High Court judge and has worked as a solicitor for the Department of Finance and in private practice. Australian consumers are faced with many choices when selecting a health insurance policy. With over 180 hospital and over 110 general treatment (extras) policies available for a single person in Victoria, and similar figures in other states and territories, consumers often contact our office seeking more information so they can make an informed choice1. Private health insurance is optional and all people have different needs, so no single solution can apply to every consumer. What our office encourages is that consumers should make themselves informed of the various factors that may impact on their decision to purchase, change, or cancel their insurance. Why should consumers choose private health insurance? Access to private hospitals and choice of doctor – Treatment as a public patient is free of charge under Medicare. However, the most urgent treatments and emergencies are prioritised over less urgent or elective procedures. Private hospital insurance allows consumers to avoid public hospital waiting lists and book into private hospitals, with a doctor of their choice. Cover for services not covered by Medicare – The public system covers services such as medical consultations and prescription medicines covered under the Pharmaceutical Benefits Scheme. For items that are not included on the public system, such as dental care, optical items, physiotherapy, non-PBS pharmaceuticals, podiatry and other ancillary services, consumers can purchase general treatment insurance. In some states and territories, ambulance cover is also available. Medicare Levy Surcharge: If a person’s income exceeds the Surcharge threshold ($90,000 for individuals or $180,000 for couples/families in 2016-17) and they do not hold an appropriate level of hospital cover, they are liable to pay the Surcharge of between 1 to 1.5% in income tax. Government Rebate: Most Australians with private health insurance receive a rebate from the Australian Government to help cover the cost of their premiums. The rebate is age- and income-tested. Currently, anyone who is registered with Medicare and earning under $140,001 as a single or $280,001 as a couple in 2016-17 is eligible for a rebate. What’s covered on my hospital policy? Generally the cheapest policies cover fewer services. Consumers should check the service exclusions and restrictions carefully – it’s important to weigh up the potential risk of not being covered for certain services against the savings in premium. The Ombudsman suggests that consumers should consider taking out the highest level of hospital cover they can afford, and choosing a higher excess to reduce the premiums rather than electing to have restrictions or exclusions. What’s covered on my general treatment policy? Consumers should consider how much they are likely to claim in benefits each year. Some policies may include higher benefits or limits, but also require a higher premium and include a wider range of items, some of which may not be required. How long do I have to wait before I am covered? Waiting periods apply whenever commencing or upgrading a hospital policy: 12 months for pre-existing conditions and obstetrics (pregnancy), and 2 months for psychiatric treatment, palliative care and rehabilitation. For general treatment, waiting periods vary from 2 months for items such as general dental and physiotherapy, and up to 12 to 24 months or more for major dental and health appliances. Are my local hospitals and providers recognised by the health fund? Most health funds have a wide range of ‘agreement hospitals’, but it’s important to confirm if a fund has agreements with one’s local private hospitals, as consumers incur extra expenses if they are admitted to a non-agreement hospital. For general treatment services, health providers need to be registered with the fund for benefits to be paid. Check your policy documents after purchase or after making a change – If there has been an error or you have changed your mind, raise this with your fund within the 30 day cooling off period so it can be corrected. Review your cover regularly – Your health fund is required to send you a Standard Information Statement (SIS) every year. Think about whether your policy continues to meet your needs. Stay informed about your cover – Read all the information sent by your fund. Important information, such as changes or reductions to benefits, will be sent in a personalised letter. Confirm your benefits – Contact your fund, doctor and hospital before hospitalisation to check your cover and what expenses you may need to pay yourself. For general treatment benefits, ask your fund and provider for a quote before treatment commences. Keep your policy up to date – Tell your fund if you change address, add a partner, have a child, or any other circumstance which might affect your cover. Always check your payments and direct debits to ensure your premiums are up to date. If problems arise that consumers can’t resolve directly with their health fund or provider, our office is available to handle complaints. Complaints can be about private health funds, brokers, hospitals, doctors, dentists and other practitioners, as long as it relates to private health insurance. Complaints can be submitted at Ombudsman.gov.au or on 1300 362 072. For general information and advice, the Ombudsman’s websites Ombudsman.gov.au and Privatehealth.gov.au provide a range of information, tools, and factsheets about private health insurance. 1 Figure based on Privatehealth.gov.au figures in February 2017 for a single person in Victoria; this figure eliminated closed policies and policies from restricted funds and corporate policies, but includes different excess levels & co-payments.